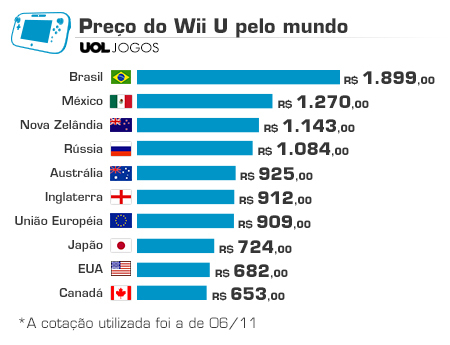 The Wii U is finally launching in Brazil, which has notoriously high taxes on import items like video game consoles. The Wii U will be arriving in Brazil on November 26 at a cost of R$1899, which is about $829 in USD. Games will retail in the region for R$179-R$199, which is around $77-87 USD. Pre-orders for the system in Brazil will begin today. Brazil is getting the 32GB Wii U with New Super Mario Bros. U and the New Super Luigi U DLC. 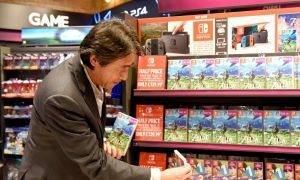 While this is the most expensive Wii U in the world, you can still purchase a Wii U and an Xbox One in Brazil for the price of a PS4, which is launching with a hefty tag of R$3999. Ouch.